This is one of the more poppy ones. Or at least it’s not very heavy, or got rock guitars. It’s from the perspective of someone who’s found out their lover’s been cheating. It’s musically very different for us. We’re so proud of it. We wanted to make sure it was positioned quite early in the record so it wouldn’t get lost. And while it’s poppy, it’s still quite dark. We don’t worry about what people might think of that. It’s not a healthy mind-set to be in when you’re trying to write music. We try not to let what people might expect from us affect us creatively, but at the same time, we do still like heavy music. So it’s a consideration. No-one wants to completely alienate their existing fans. I’m sure it’ll take people a minute to get it, but I have so much confidence in the album in general that I know they’ll come around. 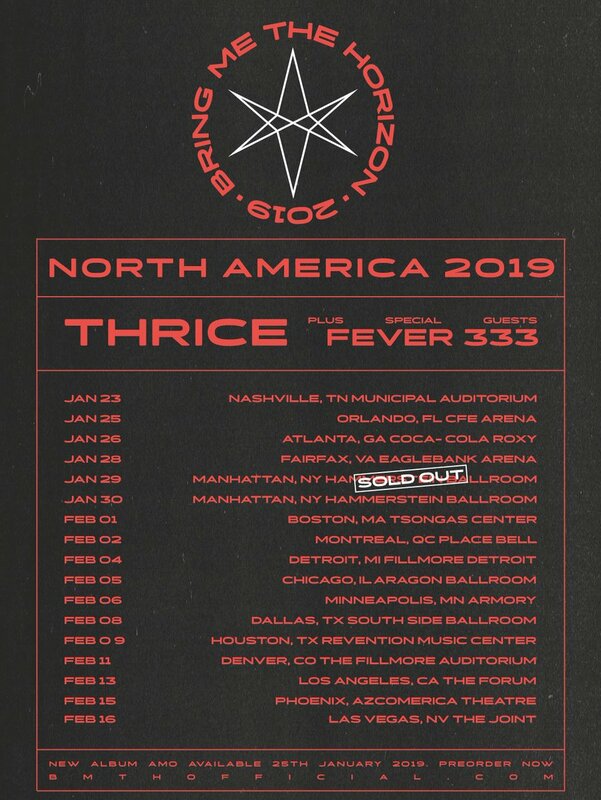 i am once again blessed THIS YEAR to see them during the “amø” tour this february 2019 in las vegas.